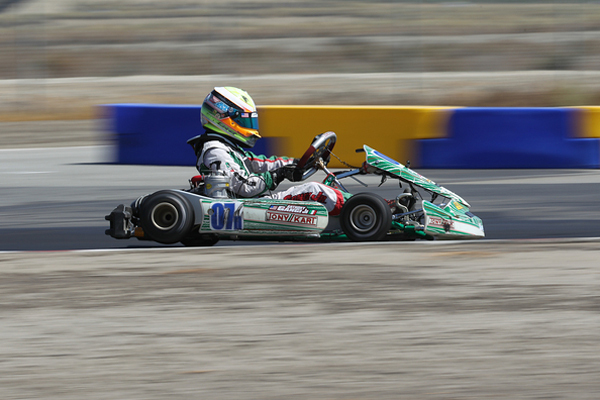 As the 2012 SuperNats TaG Cadet Champion, Gangi Jr. has been busy testing the TaG Junior package in preparation for the attempt at a second SuperNationals title. Taking the California PKC by storm, the Brookeville, New York resident looks strong coming into the 2013 edition of the parking lot competition, which is set for November 20-24 at the Rio All-Suite Hotel and Casino in Las Vegas, Nevada. Taking on qualifying for Saturday's California PKC Round #5, Gangi Jr. would clock the quickest time of the session to secure the day's pole position. Battling 21 drivers in wheel-to-wheel competition, Gangi Jr. was the class of the field throughout the two heats. Scoring both victories, as well as fast lap in heat one, the GT7/TonyKart pilot was the driver to beat come the main event. Working with his new tuner and long-time sponsor, AJ Whisler, Gangi Jr. was again unstoppable in the final. Never relinquishing the lead, Gangi Jr. dominated the race posting a 4.855 second victory as well as the fastest lap. 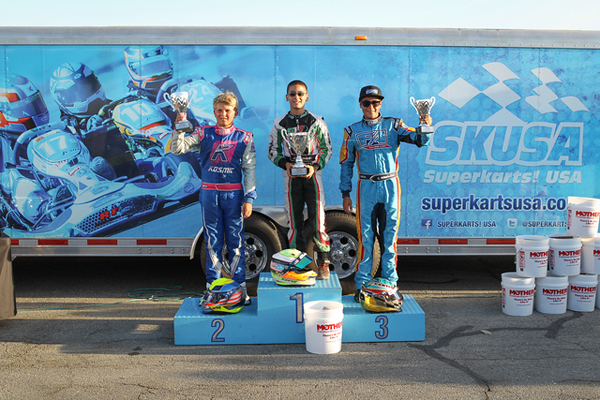 Gangi Jr. will next take on more SKUSA action, as he will return to California for the Streets of Lancaster Grand Prix September 28-29. The following week, the young gun will head to New Orleans, Louisiana for the Texas ProKart Challenge event October 4-6 at the NOLA Motorsports Park. Anthony Jr. would like to thank his new tuner AJ Whisler for an excellent start to a great partnership, Daniel of Woltjier Engines for the great power, and his karting sponsors Millwork Solutions Inc., Holeshot Drive Systems and PKT Axles. The GT7 Motorsports Team is proud to be a Tony Kart and Vortex dealer for the US North East. For more information on Anthony Gangi Jr. please check out his website at www.gangijr.com. For more information GT7 Motorsports please visit their website www.GT7motorsports.com or contact Anthony Gangi Sr. at 516-635-8594 or email at agangi@mac.com.